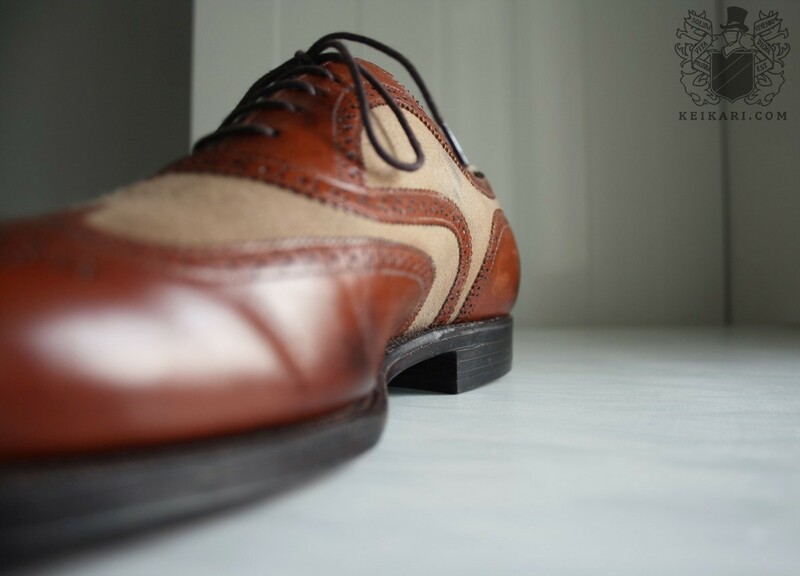 Anatomy and Review of Edward Green Shoes | Keikari.com Anatomy and Review of Edward Green Shoes | On classic men's style, elegance and the beautiful life. 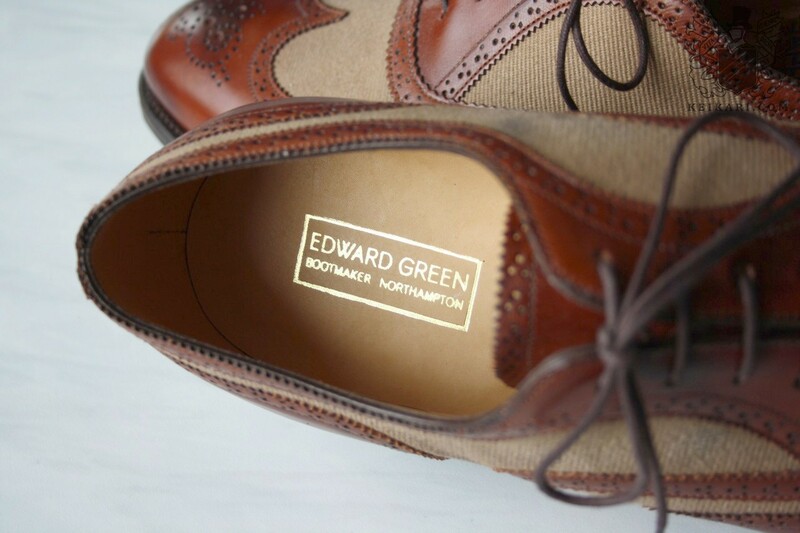 Edward Green is a renowned shoe factory from Northampton, England. 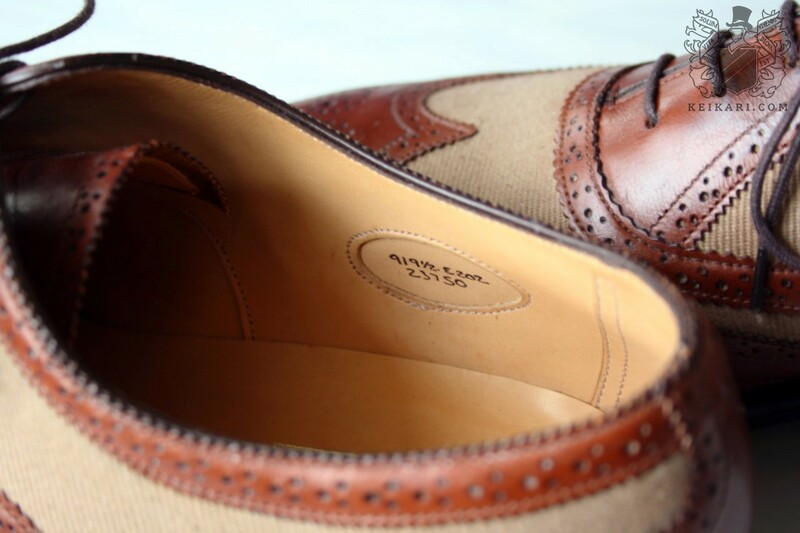 With a large selection of understated ready to wear models in dozens of colours and finishes, the maker has offered Goodyear-welted British footwear since 1890. 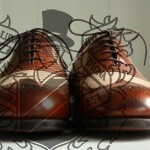 During its history it has catered to the needs of well-heeled men around the world, several heads-of-state included. The current catalogue is available online at Issuu’s website, showcasing 47 models in eight lasts. 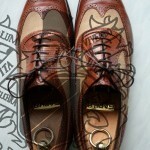 Some pairs are only available for special orders. 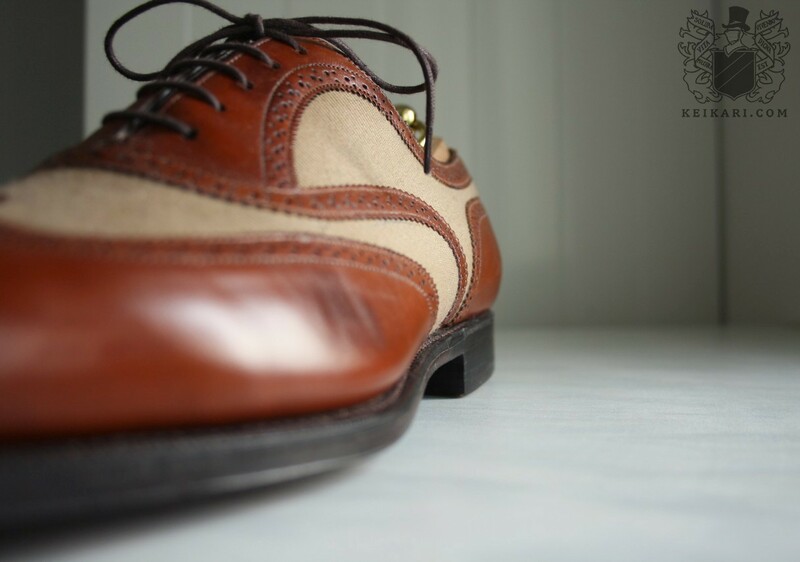 EG offers a made to order service, allowing its customers to choose the desired model, last, leather type and colour as well as sole material. The possibilities are vast. 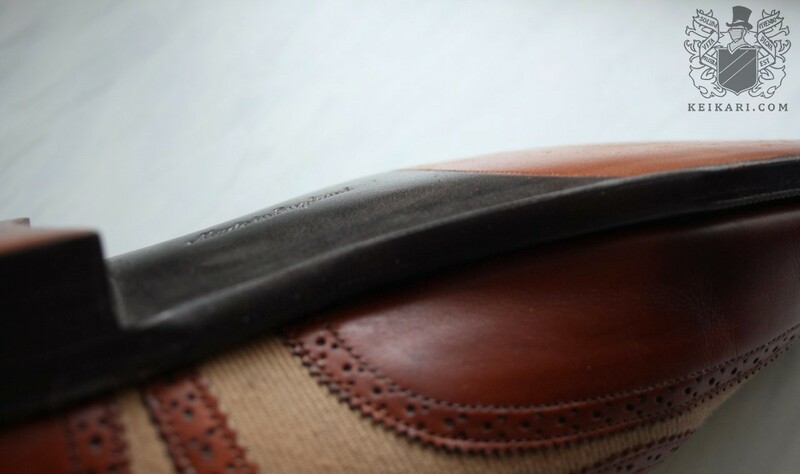 Regular and antique leather colours combined, EG offers close to three dozen leather options along with shell cordovan, alligator and the other exotic hides. If regular MTO pairs are not enough, the customer can opt for Top Drawer. 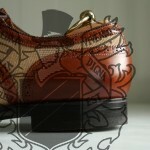 This service grants him more handwork, and an extensive finishing which both lead to a shoe closer to leather art than mere footwear. 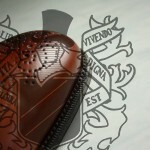 The factory clicks its leathers and lasts them by hand, but soles are gemmed and attached by machines. 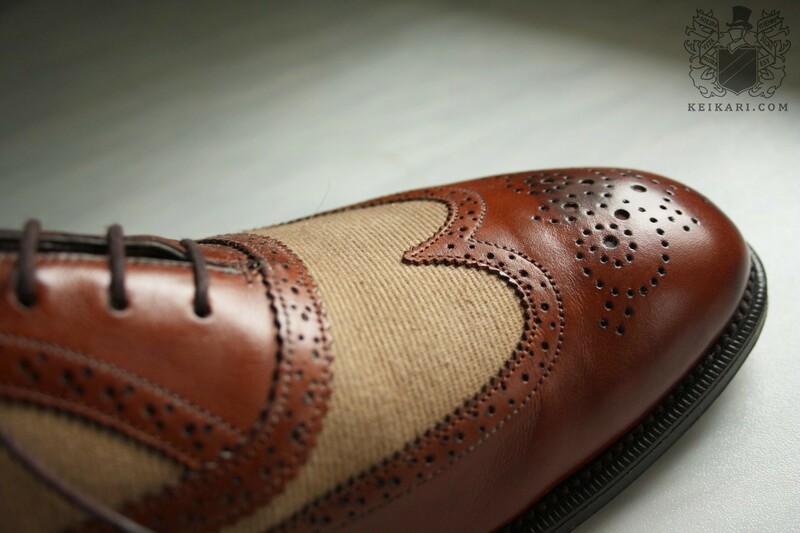 The maker has developed its leather colours and finishes with an Italian tannery, and is known for its burnishing treatment. 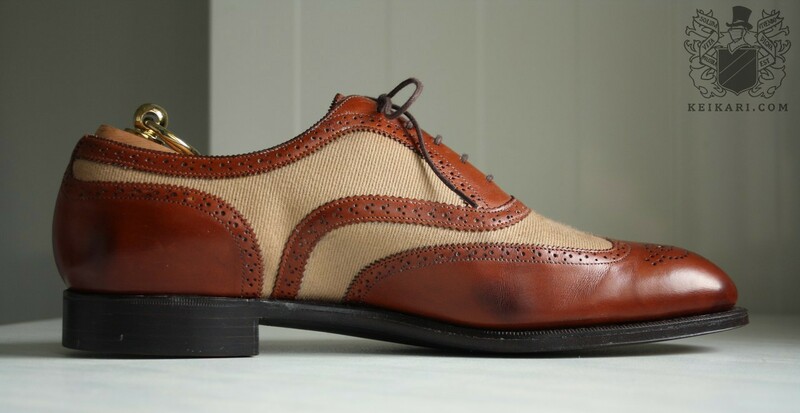 For me, the last number 202 represents the quintessential English RTW shoe with its lightly chiseled toe, contoured lines and close fit on the heelcup and instep. EG has used this last nearly one hundred years, and its other lasts are derived from it. 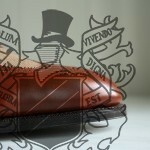 The company has only three British competitors on its price-range, Lobb Paris, Alfred Sargent Handgrade and Gaziano&Girling. 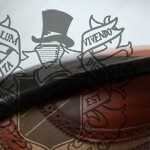 Due to its grand reputation and high standards, the maker has a solid customer base around the world. The factory charges around 600£ for its regular pairs, MTO is around 750£ and up, Top Drawer is a bit more than one thousand pounds. 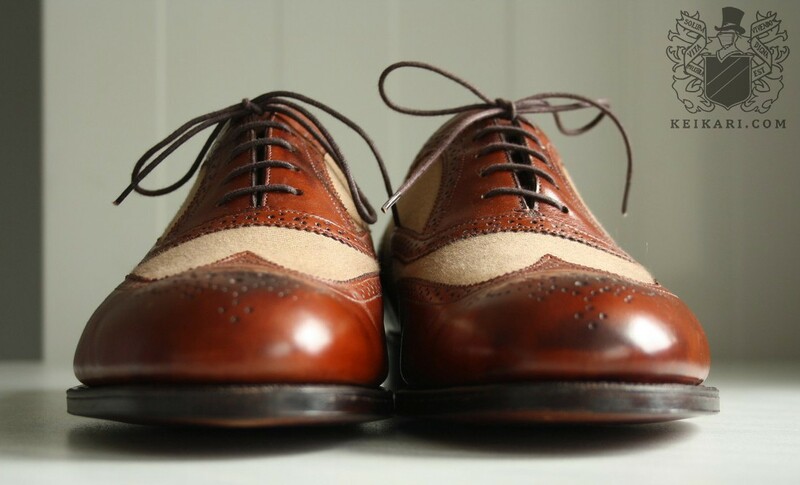 EG’s own shoe trees are close to 70£. 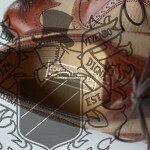 Naturally, hand-stitched pairs and all boots have a surcharge. 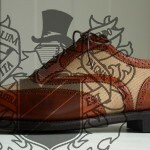 With all this is mind, I was keen to have a go at EG’s shoes and see for myself what’s in a name. 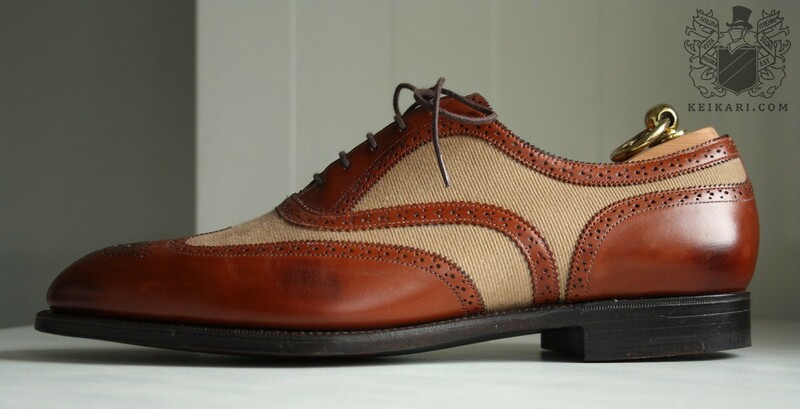 The example pair is EG’s model Malvern III, a summertime spectator shoe made from chestnut calf and beige cotton canvas, with last 202. The first thing I noticed was the heelcup. 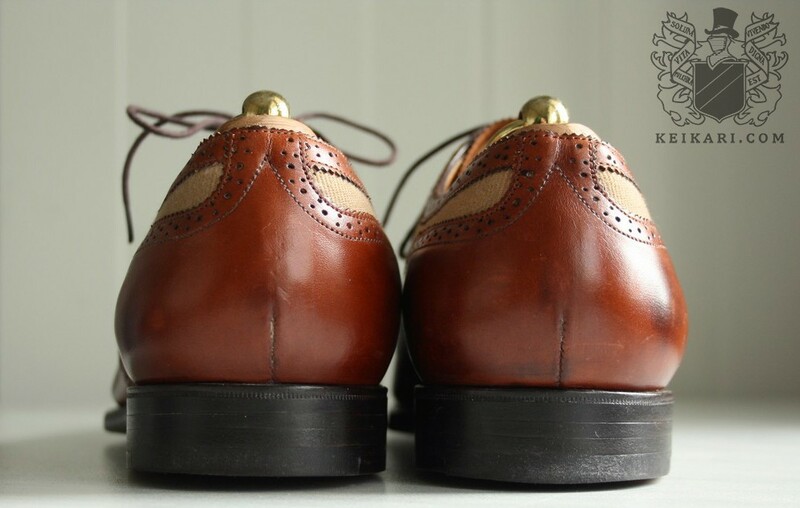 It’s form is unlike anything else I’ve handled, my closest reference was a vintage pair from Cleverley’s bespoke workroom. 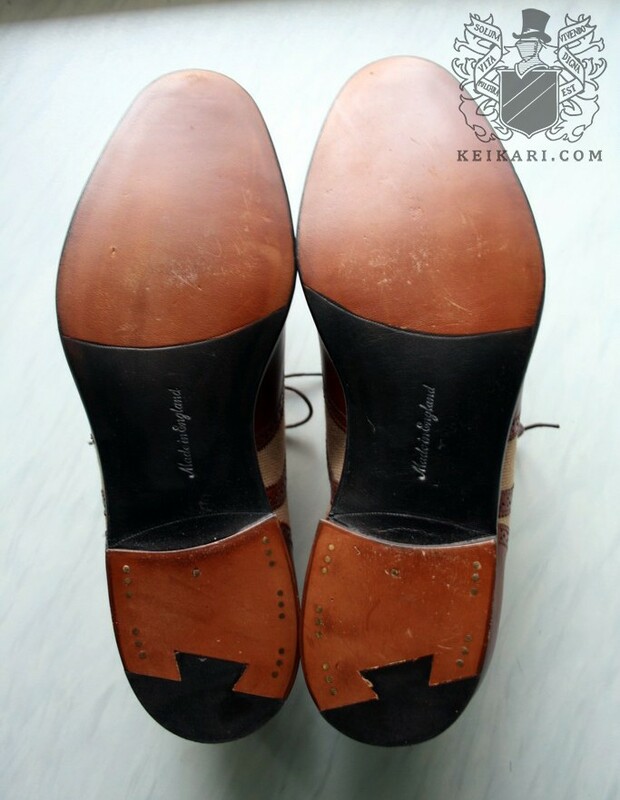 The heelcup is extremely round and protruding, and when worn has a glove-like, close fit. 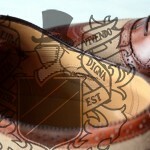 The cup also features a strong leather backing inside, guaranteeing the strongest support I’ve met in a RTW pair. 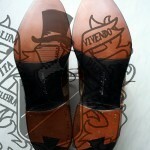 As no heelcup alone leads to a great shoe, the last is also form-fitting on the instep and ball of foot. 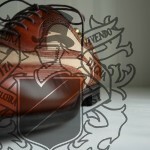 Its curves are not as aggressive as the likes of G&G’s pairs, but sculpted enough to lead to a pleasing form. 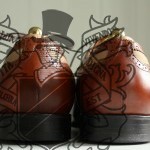 The last 202 both looks slender and fits like the proverbial glove, with a glove-soft leather lining. 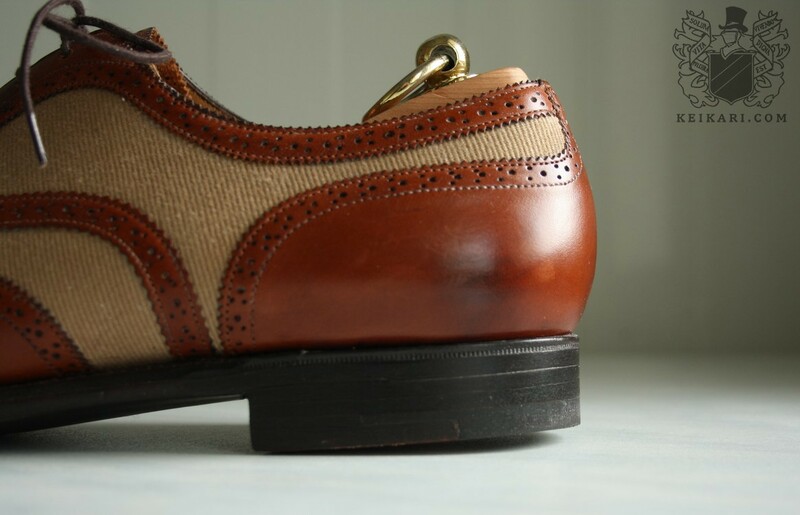 The uppers have a burnished finish on the tip and instep, precisely struck brogue medallion and an eccentric brogue perforation struck askew, and made up of one medium hole with two small ones instead of one large with two small ones. 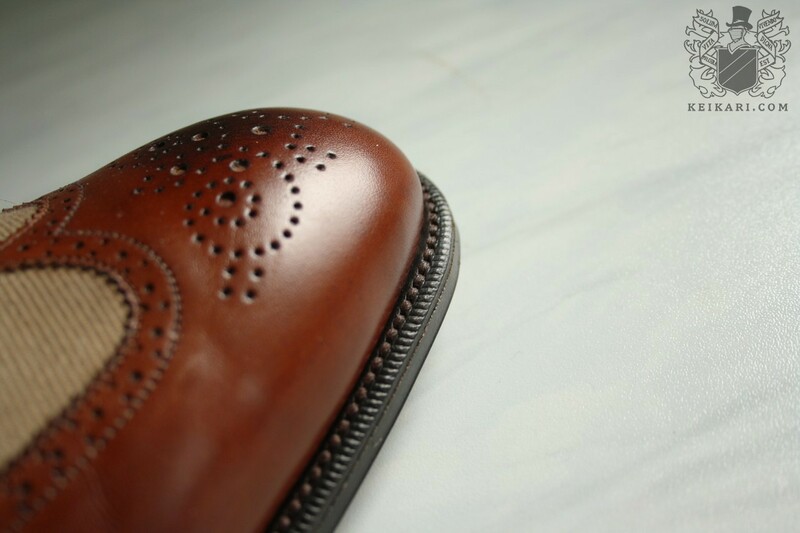 The toe is round and mildly chiseled, the welt is thin and narrow, Goodyear-stitching is dense and clean. The canvas upper has a brushed, clean surface, oak bark leather soles are neatly finished with a modestly shaped waist. The leather lining is by far the softest I’ve fondled, and features a small oval setting inside for EG’s factory markings. The question remains now, whether EG’s shoes are worth their high prices. I will say yes, with a caveat. 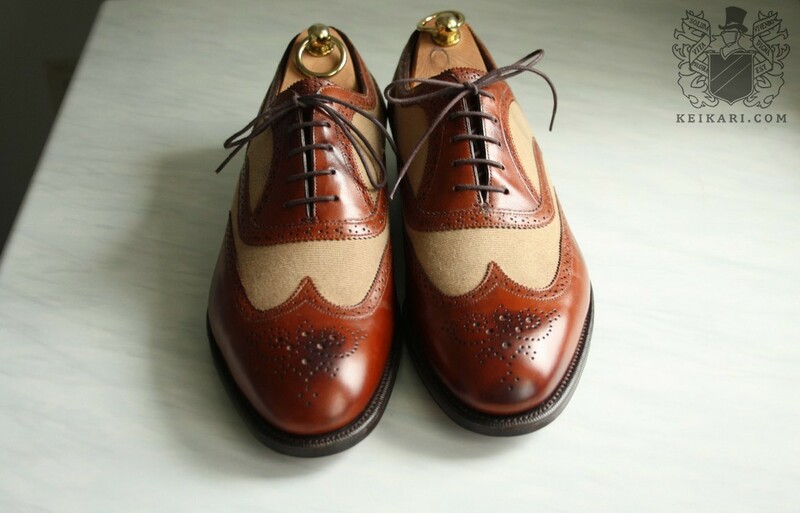 The finishing, attention to details and materials are wonderful, but the last is key: 202 pleases both my eyes and my feet. 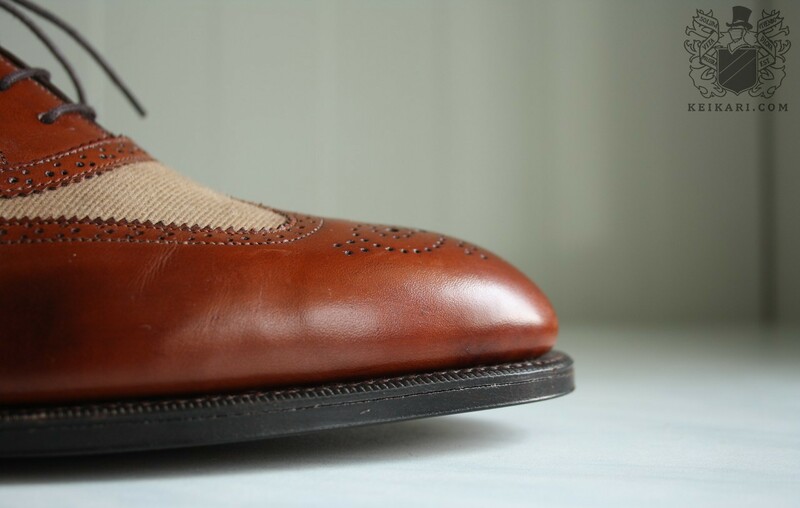 It gives any pair a wonderful shape, unsurpassed support and a phenomenal fit — and yet, EG’s pairs are gemmed. If the reader is unfamiliar with this method of construction, there’s plenty of info online. I will be writing about the topic later on Keikari. Gemming can fail, and it does, not often enough to raise alarm but every now and then. 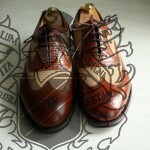 For the price, the factory of Edward Green offers a grand shoe. Its competitors outside the UK, however, offer more thorough constructions for the same prices or less, mostly due to lower wages. Still, this is like comparing apples and oranges. If EG pleases, it’s never a foul choice. 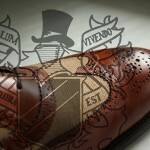 “The finest shoes in England for the discerning few”, like the factory slogan goes. 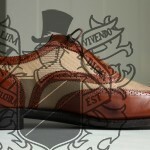 just go to http://www.edwardgreen.com — if their webstore does not have this model, you can find a retailer from the site. 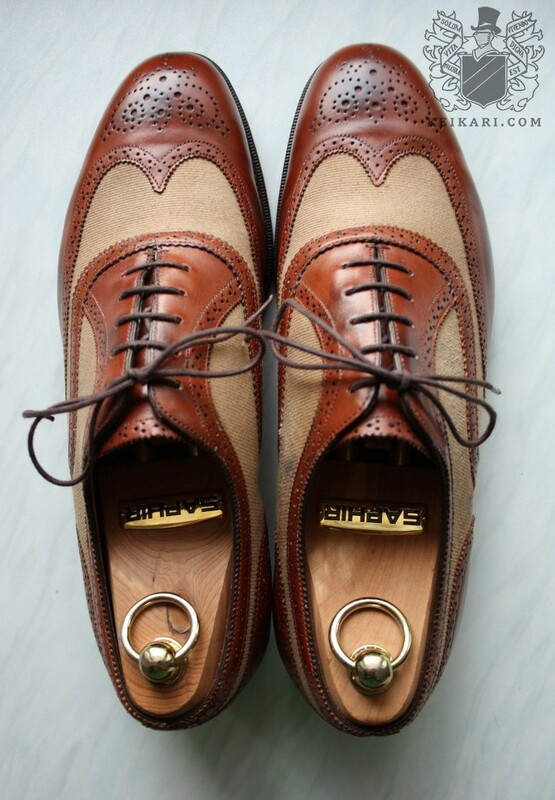 How do I purchase these shoes?